McDonald's workers filed seven class-action lawsuits in New York, California and Michigan Thursday over wage theft violations. The suits allege that McDonald's has forced employees to work off the clock, not paid them overtime and struck hours off their time cards. The suits were announced in a conference call led by the workers' lawyers and organizers of the union-backed campaign to raise fast food wages across the country. "We've uncovered several unlawful schemes, but they all share a common purpose -- to drive labor costs down by stealing wages from McDonald's workers," said Michael Rubin of Altshuler Berzon LLP, an attorney who represents California workers. Workers in California claim that McDonald's (MCD) and its franchisees did not pay them for all of the hours they worked, and did not give them timely breaks. New York McDonald's workers, who filed their case in federal court ,claim the fast food chain did not reimburse them for the cost of cleaning uniforms. They say it drives some workers' real wages below the minimum wage, which is a violation of federal labor law. These claims violate the federal Federal Labor Standards Act (FLSA), which sets minimum wage, overtime pay, record-keeping and other standards for workers across the country. News of these cases come hours before President Obama is expected to ask the Labor Department to issue tougher rules on overtime. The move is expected to lead to extra pay for millions of workers who aren't currently paid for extra work hours. But wage theft at fast food chains has been an long standing issue. Last year, the New York State attorney general said he was investigating if fast food restaurant owners cheated their workers out of wages. 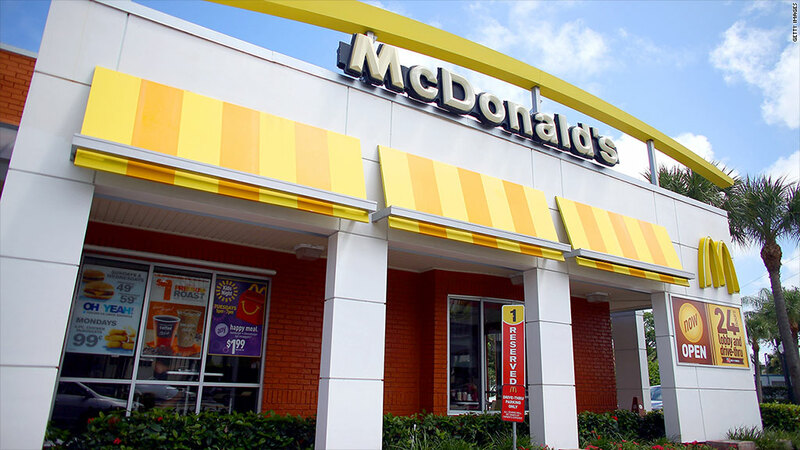 Since 1985, the Labor Department has found that McDonald's and its franchises have had to pay back wages more than 300 times for FLSA violations. McDonald's said in a statement that it is currently reviewing the allegations in the lawsuits. "McDonald's and our independent franchisees are committed to undertaking a comprehensive investigation of the allegations and will take any necessary actions as they apply to our respective organizations." Fast food workers have been striking since November 2012, campaigning for McDonald's and other chains to increase their minimum wages to $15 per hour and the right to form a union without retaliation. The movement began with a small walkout in New York City and has since gathered momentum. 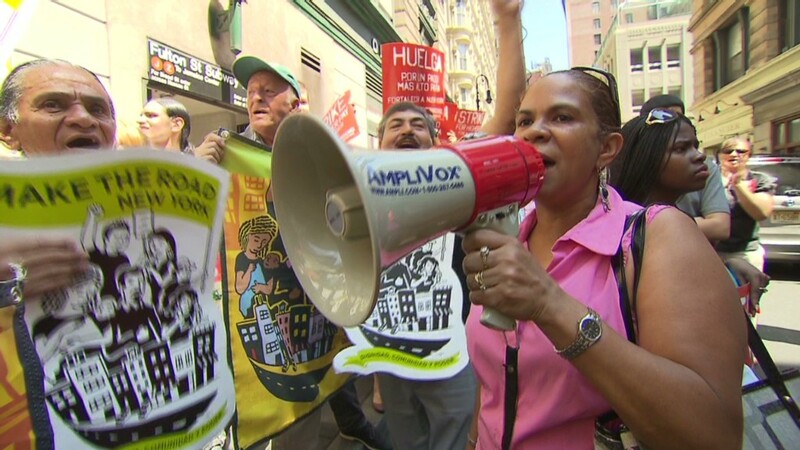 Strikes this past December drew fast food workers in 100 cities, organizers said. McDonald's in particular came under fire for setting up a "McResource" helpline for its workers, which helped its employees navigate getting access to government programs like food stamps and heating assistance. The burger chain also caught heat for for releasing a budget planning guide for its employees on the McResource site. The sample budget was criticized as being out of touch because it didn't account for either food or gasoline, a big expense for low income workers. The budget also left room for an income from a second job, which many called an admission by the fast food giant that its workers can't live on wages from one job at McDonald's. The fast food chain has since taken the McResource site down. The median pay for the fast food workers nationwide stands at just more than $9 an hour, or about $18,500 a year. That's roughly $4,500 lower than Census Bureau's poverty income threshold level of $23,000 for a family of four. A report released in October by the University of California, Berkeley Labor Center and the University of Illinois found that more than half of families of fast food workers receive some form of public assistance. The report estimated that this aid carries a $7 billion annual price tag for taxpayers.